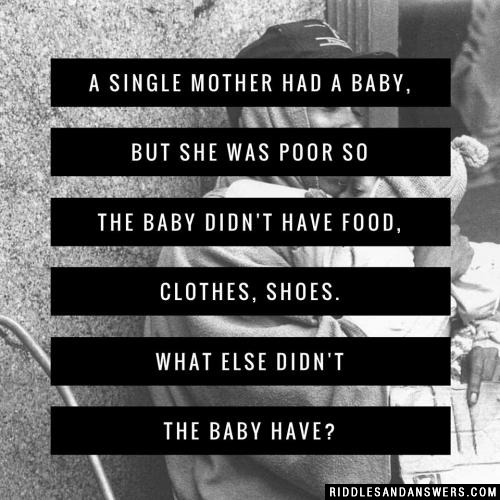 A single mother had a baby, but she was poor so the baby didn't have food, clothes, shoes. What else didn't the baby have? I can fill a room or just one heart. Others can have me, but I can't be shared. What am I? 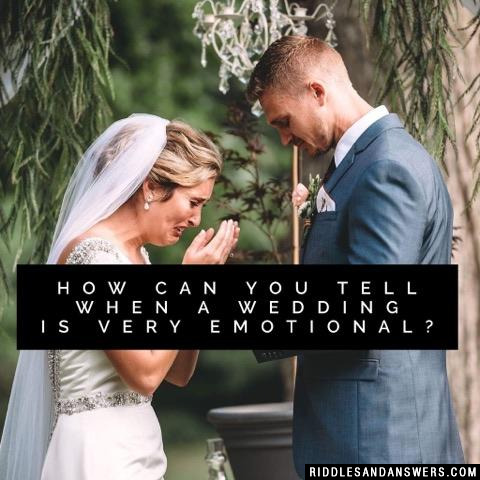 How can you tell when a wedding is very emotional? The cake is in tiers. How do you know when a computer monitor is sad? What's the world's saddest animal? When is a math book sad? When it is full of problems! 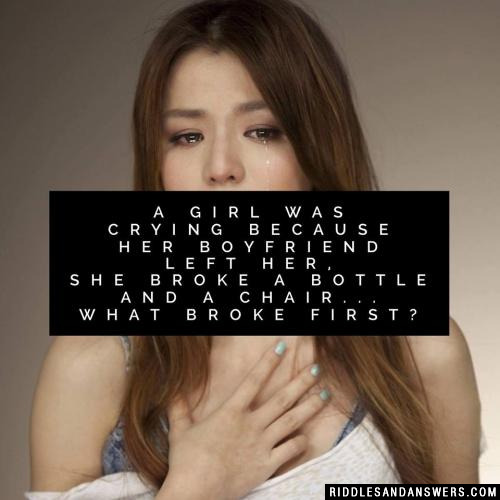 Can you come up with a cool, funny or clever Sad Riddles of your own? Post it below (without the answer) to see if you can stump our users.